History: When I was in junior high school, I worked as a volunteer in the library, because I was an avid reader and loved the access to books this position gave me. I was also becoming a fan of science fiction, transitioning from my earlier love of mysteries. 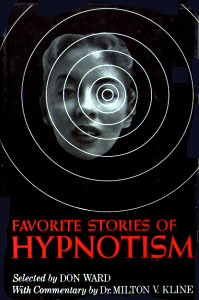 And, most importantly, even in my early teens I had a deep interest in the subject of hypnosis, so I was hunting for books on the subject: I was already reading the books on hypnosis I could find in the local library, primarily the Melvin Powers books but a few similar ones. I used the local library because, as might be expected, books on hypnosis were not to be found in the school library. However, I was mistaken, at least in thinking hypnosis‐related books were only to be found in the non‐fiction section: one of the SF novels I discovered there in the school library was “The God Machine” (1968) by Martin Caidin. Caidin is best remembered for one novel, which not only became a television series (which in turn spawned a spin‐off series) but it was one of the few programs to immortalize a sound effect in the public consciousness. That novel, “Cyborg”, became the TV program “The Six Million Dollar Man”. However, Caidin was a very prolific author, with over 50 novels to his credit, including “Marooned” which became the basis for the movie of the same name, as well as being an avid aviator, airplane restorer and non‐fiction author.